Shirley Cropper won the Yorkshire championship with Rob, while the trial winners, Arthur Temple and Jan, were the runners up. It was a sunny, clear day on Saturday (May 11) and on the high ground above the village of Elslack, near Skipton, there was a cooling breeze. With a fetch of about 400 yards the first half of the course was fairly flat. Beyond the fetch obstacle the ground rose gently to the lift. Most opted to take the right-hand outrun where although the land undulated there was a wall for the dogs to follow. On the left there was open ground. For the trial entry of 77 the running was on packets of three hoggs. The sheep were mostly Lonks and Gritstones along with a few Mules and overall they ran very well. Starting at 8am and not finishing until approaching 9pm, David Harrison had a long day judging. With run 11, Shirley set the standard with Rob gaining 88 points. Derek Scrimgeour and Lyn matched that score at 41, but Shirley held onto the lead on an out-bye decision. At 46, Gavin Fearon and Dave also scored 88 and with slightly better out-bye work they went ahead. However, the winning run came at 55 when Arthur went to the post with Jan (R.D. Lambie’s Jaz and Craig). Smooth coated Jan had a clean left-hand outrun. Her sheep faced her at the lift but she walked nicely onto them to lose a single point. As they approached the fetch obstacle the hoggs had to pass through clumps of reeds. Jan’s sheep deviated around them costing four points from her fetch. She worked well throughout the left hand drive dropping just two points. Two points went at the pen before finishing with a clean single gave Jan a score of 91 and a clear lead. The top three dogs along with the highest pointed Yorkshire committee member, which was Carol Mellin and Hilston Sally, went forward into the championship. Running was on five sheep and following the outfield work any two had to be shed, all five penned and finally any one singled. Gavin and Dave ran first. After good outfield worked they dropped a couple of points at the shed, had a clean pen, but were timed out at the single to score 92 points. Arthur and Jan were drawn next. After a good outrun and lift Jan just slipped her sheep at the fetch obstacle. She had a nice drive and finished well to score 98. Carol and Sally were drawn to run third. Sally had another good outrun. Although she caught the hurdle she was off-line down her fetch. She had some deviations over her driving and with a good finish she also scored 98 points. Shirley and Rob (J.M. Hutchinson’s Beechwood Cass, R.J. Hutchinson’s Sweep) ran last. Going to the right, Rob had a faultless outrun and a clean lift. Keeping his sheep settled he kept a good line down the fetch to lose just a single point. Moving along at a nice pace young Rob worked his sheep through the first drive obstacle and had a tight turn into the cross-drive. His sheep wavered off-line towards the last hurdle but he worked them through it. Three points were deducted from his driving. He quickly shed off two sheep without fault before losing two points for a slight break at the pen. An odd point lost at the single gave Rob the winning score of 103. After having a good nursery season this last winter, Rob is now going forward and doing well in the open trials. Shirley had an excellent weekend as on the previous day she won the Escrick open with Beechwood Ben (N. Bennett’s Beechwood Itsy, C. Dickson’s Scot). In a parkland setting on the Escrick Park Estate the running was over a relatively flat course on packets of four Hebridean hoggs which required careful handling. Matt Watson judged the entry of 74. With run 30, Ben had a good right-hand gather, caught all obstacles and finishing with a good pen and split scored 88 to take the title four points clear of runners up Brian Bell and Ben. On Sunday (May 13) at the same venue, John Rangeley judged an entry of 57. With an early run at seven, Ian Murdoch and Hilston Elmo (G.P. Blyth’s Stef, J. Richardson’s Staff) had the winning round. Between a good right-hand gather and clean finish Elmo lost odd points for line deviations to earn the top score of 94 points. With a late run David Bristow and Nell were the runners up on 93. YORKSHIRE, Park House Farm, Elslack, Skipton, North Yorkshire (Judge, D. Harrison, Selside) Open (77 ran) 1, A. Temple (Holmrook) Jan, 91 of 100; 2, G. Fearon (Borrowdale) Dave, 88 OLF; 3, S. Cropper (Deerplay) Rob, 88; 4, D. Scrimgeour (Wigton) Lyn, 88; 5, F. Cleary (Barnacre) Billy, 87 OLF; 6, J. Scrivin (Elslack) Gwen, 87. Yorkshire Committee Rosebowl C. Mellin (Oakworth) Hilston Sally, 83. Best outrun, lift and fetch G. Fearon, Dave. Championship (4 ran) 1, S. Cropper, Rob, 103 of 110; 2, A. Temple, Jan, 98 OLF; 3, C. Mellin (Oakworth) Hilston Sally, 98; 4, G. Fearon, Dave, 92. Sister Herbert Trophy for Championship winner, S. Cropper, Rob. Hard Luck Cup A. Temple, Jan.
ESCRICK PARK, Escrick, York (M. Watson, Tadcaster) Saturday Open (74 ran) 1, S. Cropper, Beechwood Ben, 88 of 100; 2, B. Bell (Hamsterley) Ben, 84; 3, K. Cropper (Shap) Zac, 83; 4, J. Atkinson (Escrick) Whiterose Queen, 82; 5, K. Cropper, Faenor Bute, 81 OLF; 6, L. Morland (Hamsterley) Nell, 81. (Judge, J. Rangeley, Bolton Percy) Sunday Open (57 ran) 1, I. Murdoch (Sutton on Forest) Hilston Elmo, 94 of 100; 2, D. Bristow (Murton) Nell, 93; 3, P. Exelby (Nun Appleton) Gem, 92; 4, T. Rome (Whitehaven) Nell, 90 OLF; 5, J. Read (Louth) Hilston Ted, 90; 6, D. Wood (Hope Valley) Gemma, 88. CORNWALL, Trethern, Delabole (C. Worgan, Chulmleigh) Saturday am top field 1, B. Watson (North Tawton) Ben, 88 of 100; 2, P. Johnson (Burton on Trent) Fly, 87; 3, B. Dumbleton (Rainow) Max, 82; 4, A. Lehtio (Finland) Rhys, 78; 5, C. Neal (Wormegay) Dexter, 77 OLF; 6, S. Little (Kerdiston) Buddy, 77. (L. Lock, Plymouth) Saturday am bottom field, 1, M. Evans (Holsworthy) Ben, 77 of 100 OLF; 2, P. Johnson, Jack, 77; 3, A. Lehtio, Coel, 76; 4, P. Fanning (Ireland) Jim, 74½ OLF; 5, T. Rofe (Chilla) Laddie, 74½; 6, A. Ledgar (Macclesfield) Tip, 74. (Ray Edwards, Chulmleigh) Saturday om top field 1, D. Heard (Bude) Thistledown Annie, 85 of 100; 2, T. Rofe, Laddie, 80; 3, A. Lehtio, Coel, 79; 4, C. Cassie (Lutterworth) Sean, 76; 5, S. Jenkins (Themelthorpe) Aura, 75; 6, B. Dumbleton, Max, 74. (T. Griffiths, Forest of Dean) Saturday pm bottom field 1, P. Fanning, Jim, 91 of 100; 2, R. Watson (Millom) Kemi Ross, 89; 3, M. Evans, Ben, 86 OLF; 4, J. Watson (Postbridge) Zac, 86; 5, C. Cassie, Lady, 86; 6, D. Heard, Tan, 85. (R. Evans) Sunday am top field 1, A. Lehtio, Coel, 83 of 100; 2, R. Watson, Sally, 81; 3, P. Johnson, Barton Gail, 77; 4, B. Watson, Jay, 75; 5, J. Watson, Jake, 74; 6, S. Jenkins, Aura, 70. (T. Griffiths) Sunday am bottom field 1, E. Lloyd (Wales) Fly, 90 of 100; 2, R. Watson, Sally, 88; 3, Ray Edwards, Bob, 85; 4, B. Watson, Ben, 84; 5, M. Banham (Chipstead) Taff, 81 OLF; 6, R. Briggs (Wennington) Nell, 81. (Judge, T. Griffiths) Sunday PM Top Field 1, A. Lehtio, Coel, 91 of 100; 2, P. Fanning, Jim, 90; 3, P. Johnson, Jack, 89; 4, Ray Edwards, Fan, 80; 5, R. Briggs, Fly, 79; 6, J. Nicholls (Buckland Brewer) Rob, 75. (T. Hopper, Veryan) 1, B. Watson, Ben, 90½ of 100; 2, R. Watson, Sally, 88½; 3, P. Fanning, Jim, 86; 4, S. Little, Tig, 85 OLF; 5, J. Watson, Zac, 85; 6, R. Briggs, Nell, 84. RAINOW, Macclesfield, Cheshire (B. Dumbleton, Rainow) Open (33 ran) 1, J. Dumbleton (Bollington) Sid, 90 of 100; 2, C. Pickford (Rainow) Rainow Liz, 87; 3, J. Gilman (Bosley) Bob, 85; 4, J. Gilman, Bonny, 80; 5, M. Hallam (High Peak) Cap, 78 OLF; 6, D. Wood (Derwent Valley) Lin, 78. Young handler 1, C. Dumbleton (Bollington) Dot. HOLMROOK, Cumbria, (Judge, G. Smithson, Kirkbride) Open (41 ran) 1, P. Ellis (New Hutton) Joe, 92 of 100 TIME: 2, R. Watson, Sally, 92; 3, P. Ellis, George, 92; 4, S. Cropper, Beechwood Ben, 90 TIME; 5, R. Watson, Tim, 90; 6, C. Caygill (Kirkcudbright) Luck, 89. CHESELBOURNE, Manor Farm, Cheselbourne, Dorchester (J. Stammers, Salisbury) Open driving (42 ran) 1, B. Watson, Bob, 82 of 100; 2, C. Worgan, Holly, 78; 3, C. Fitzgerald (Lymington) Dell, 75; 4, I. Wheeler (Isle of Wight) Don, 74; 5, J. Whiteley (West Lydford) Wisp, 70; 6, C. Fitzgerald, Dot, 69. Novice 1, I. Wheeler, Don, 74 of 100; 2, J. Whiteley, Wisp, 70; 3, C. Fitzgerald, Dot, 69. May 19. QUERNMORE, Charity open, Rooten Brook Farm, Quernmore, Lancaster, LA2 9EJ, 8am start, enter on field by 2pm, maximum two dogs per handler. ABBEYSTEAD, Open, Marshaw Farm, Abbeystead, Lancashire, 7.30am start, enter on field. CROOKHILL, Open, Crookhill Farm, Derwent, Bamford, Hope Valley, S33 0AQ, 8.30am start, enter on field by 1pm. STOKESLEY Show, Opens, Stokesley Showground, off A172, North Yorkshire, TS9 5JL, am trial 9am start, first 25 dogs to enter on field, followed by pm trial, enter on field, no restrictions, dogs may run in both trials. CORNWALL, Tryingham Arms, Open driving and open and novice Maltese cross, Trethern, Delabole, PL33 9DA, 9am start, enter on field. May 19 and 20. NORTHUMBERLAND League, Open, Gallowshaw, Netherwitton, NE61 4NL, 8.30am start, enter on field, those with three dogs must run one before 11am. May 20. CHARITY, Open, Park House Farm, Elslack, Skipton, North Yorkshire, BD23 3AT, 8.30am start, enter on field by 1pm, catering. CORNWALL, West Rose Trial, Open Driving and Open and Novice Maltese cross, Trethern, Delabole, PL33 9DA, 9am start, enter on field. MID-SHIRES, Colin Turland Memorial, Open and Novice, Bondon Farm, Bourton Road, Birdingbury, Rugby, Warwickshire, CV23 8ET, entry closed. May 23. NORTHERN, Opens, Am and Pm Trials, Hamsteels Hall, Quebec, Co. Durham, DH7 9RS, on the B6301 Towlaw/Lanchester road, 9am start, maximum two dogs per handler, enter on field, am trial first 25 dogs followed by pm trial, the winner of am trial to judge the pm trial, the winner of the pm trial to judged am trial on May 30. May 26. RYEDALE, Ken Hotham Memorial, Open, Nova Lane, Pickering, turning just past the church follow Nova Lane for one-and-a-half miles, trial field is on left, 9am start, enter on field, if running two dogs first to be booked in before 12 noon, winner to judge next year. TRAWDEN, Summer Open, Twiston Moor, Clitheroe, Lancashire, BB7 4BY, 8.30am start, enter on field. May 27. RYEDALE, Open, Nova Lane, Pickering, turning just past the church follow Nova Lane for one-and-a-half miles, trial field is on left, 9am start, enter on field, if running two dogs first to be booked in before 12 noon, winner to judge next year. 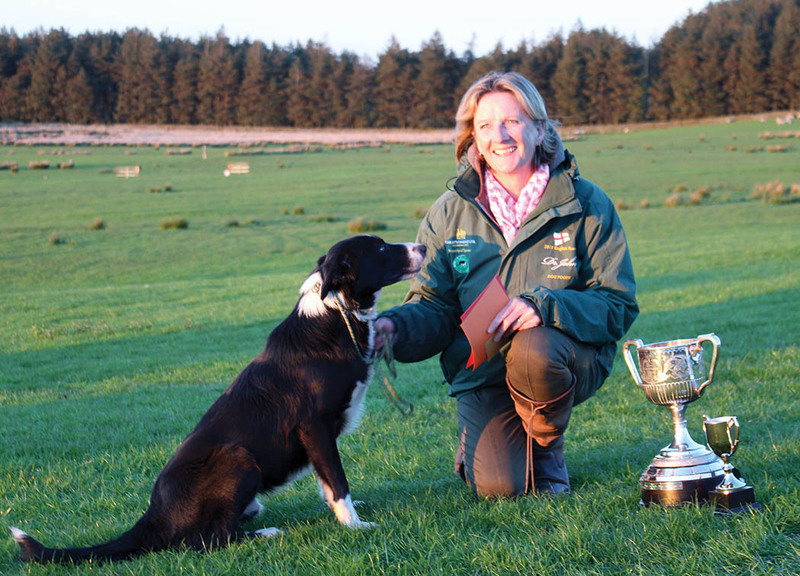 NORTHUMBERLAND League, Open, Healey Mill, Netherwitton, NE61 4NZ, enter on field, maximum two dogs per handler, only one dog on re-run sheep, will take about 60 dogs. CORNWALL, Roseland Trial, Open driving, open and novice Maltese cross, Pennare Farm, Veryan, TR2 5PH, 9.30am start, pre-entry by May 21 to T. Hopper, tel: 01872 501 886. May 28. CORNWALL, Tregony Trial, Open driving, brace, open and novice Maltese cross, Pennare Farm, Veryan, TR2 5PH, 9.30am start, pre-entry by May 21 to T. Hopper, tel: 01872 501 886. May 30. NORTHERN, Opens, am and pm trials, Hamsteels Hall, Quebec, Co Durham, DH7 9RS, on the B6301 Towlaw/Lanchester road, 9am start, maximum two dogs per handler, enter on field, am trial first 25 dogs followed by pm trial, the winner of am trial to judge the pm trial.